Spring means one thing in Myrtle Beach – festivals. After a quiet winter, locals and visitors alike are ready to throw a party, and no one does it like the Grand Strand. With Bay View Resort in the heart of the fun, you will be so close to many of these springtime festivities. 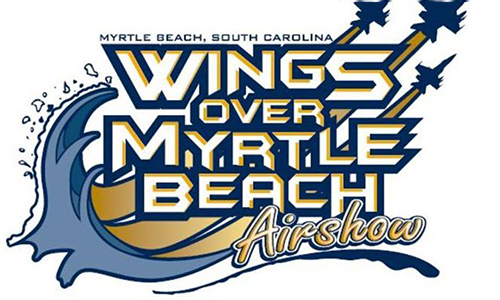 * April 28-29, Wings Over Myrtle Beach: Look to the skies for some high-flying entertainment at this air show at the Myrtle Beach International Airport. The two-day festival includes fleets of historic and modern aircraft. The headline act is the U.S. Navy's famed Blue Angels, which will perform breathtaking stunts and formations. * May 5, Burrofest: Celebrate Cinco de Mayo in true Myrtle Beach style at Fiesta del Burro Loco. The all-day and night festivities include a 5K run, live music and lots of Mexican food and beverages. This event keeps growing every year, and this one s the first since the restaurant underwent major renovations to make more room for a bigger party. * May 12, Mayfest on Main: North Myrtle Beach hosts one big street party to celebrate spring and the beach music that makes the beach town move. The town blocks off Main Street so visitors can bring their beach chairs and dance on Ocean Drive while live music plays at the Horseshoe stage. Arts and crafts vendors set up along Main Street and adjoining McLean Park has kids' activities and family fun. * May 19-20, World Famous Blue Crab Festival: Head up to Little River, SC, for the 37th annual celebration of the Grand Strand's favorite crustacean – the blue crab. Thousands descend on this tiny fishing village to taste deviled crab, crab cakes, crab legs and other dishes, as well as listen to live music, shop at the vendor tents, and dance in the streets of the historic waterfront district. * May, Military Appreciation Days: The City of Myrtle Beach goes all out for our military veterans and service members with this month-long festival. Events include the May 26 Military Appreciation Days Parade & Picnic at The Market Common, and the May 28 Remembrance Ceremony at the Myrtle Beach Convention Center. Summer will be here before you know it, so don’t let spring slip away without hitting the Myrtle Beach festival scene. Book your plans to stay at Bay View Resort this spring and get ready to party.